The latest step in the digital signage revolution has taken SIS Digital's expertise to West Bromwich, where a brand new premium large format D48 has been installed for fastgrowing outofhome roadside media owner 8 Outdoor. This new D48 uses the latest in LED technology to ensure that any business, from smaller local venders to larger national brands, can maximise the communication opportunities that digital outofhome offers. 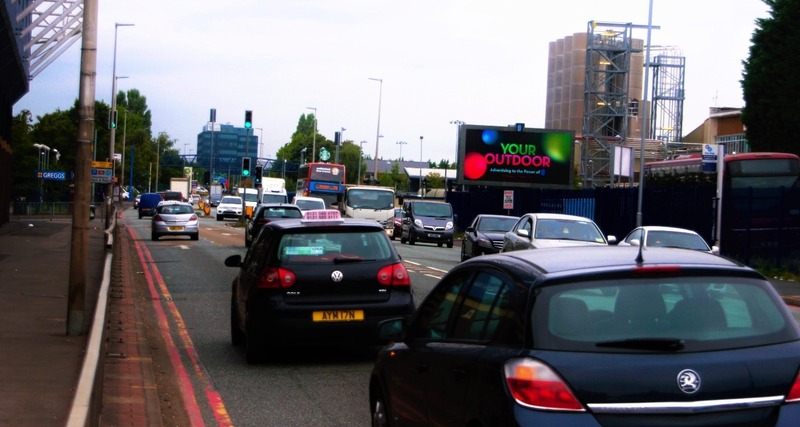 If the quality of the screen wasn’t enough, this D48 is located right opposite West Bromwich Albion FC’s The Hawthorns stadium and looks over inbound and outbound lanes of Birmingham Road  the primary route for those commuting to and from Birmingham. This location guarantees high dwell time, due to slow moving traffic, and a significant pedestrian audience every weekend on match days. The installation of this screen adds to SIS Digital's increasing portfolio of digital outofhome screens situated in close proximity to sporting or entertainment venues. For more information about our work in West Bromwich, or in any other city, please contact info@sisdigital.co.uk.